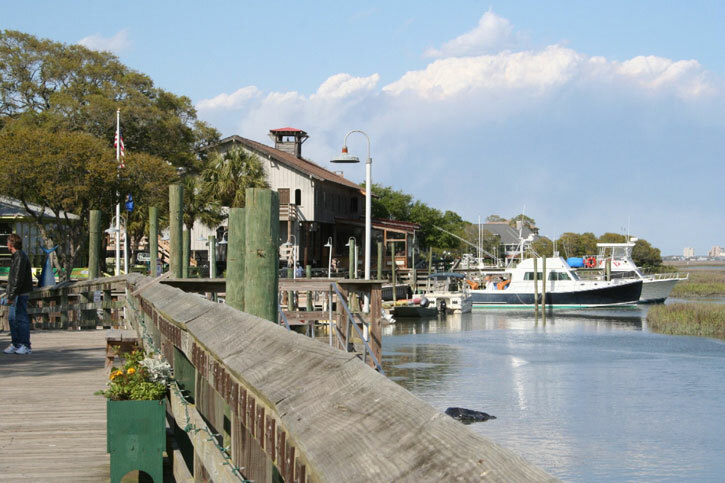 The historic fishing village of Murrells Inlet is the “Seafood Capital of South Carolina” and is home to numerous restaurants that look to Thuro Clean Carpet & Upholstery for their carpet cleaning needs. We provide “after hours” carpet cleaning appointments to restaurants, resorts and businesses so that they do not inconvenience their guests . Visitors and locals can also benefit from the fast and flexible scheduling of their carpet cleaning that Thuro Clean Carpet & Upholstery offers. In addition to being the seafood capital, Murrells Inlet is known for their ½ mile Murrells Inlet Marshwalk, Beautiful golf courses & Brookgreen Gardens. Murrells Inlet has just under 9,000 year round residents and is a very popular destination for retirees and tourists. Thuro Clean Carpet & Upholstery is pleased to work with all who work, live and visit Murrells Inlet in need of a superior carpet cleaning! Located between Surfside Beach and Murrells Inlet is the resilient Garden City community where over 9,000 residents call home. Despite the devastation caused by Hurricanes Hazel and Hugo years ago, Garden City thrives today with attractions, like the re-built Kingfisher Pier, and traditions, such as the 30-year strong Garden City Golf Cart Parade. Restaurants and residents in Garden City look to Thuro Clean Carpet & Upholstery for their carpet cleaning needs. As the “family beach” of the Grand Strand area, Surfside Beach welcomes all who are looking for a laid-back and child friendly vacation. Visitors and residents of the eco-friendly Surfside Beach can rely on Thuro Clean Carpet & Upholstery to use our non-toxic, biodegradable, pet friendly & baby safe , specially formulated chemicals to meet all of their carpet cleaning needs. Thuro Clean offers our customers in Surfside Beach, and all areas of the Grand Strand, fast response time & easy appointment scheduling options so that their time can be spent on the 2 mile stretch of pristine oceanfront instead of on the phone hassling with appointment arrangements.